The Carolina Women’s Center contributes to making the University of North Carolina at Chapel Hill a more inclusive environment by celebrating achievements towards gender equity and by ensuring there are no gender-based barriers to success. We serve the entire campus community of students, faculty, staff, and postdoctoral fellows. Legal scholar Kimberlé Crenshaw’s (1995) work introduced intersectionality to bring visibility to black women’s positioning between traditional divides of race and gender in legal decisions and frameworks. Our approach to gender equity embraces gender with all its intersections, including but not limited to race/ethnicity, class/socioeconomic status, age, gender identity and expression, ability, parent/caregiver status, religion, nationality, and sexual orientation. 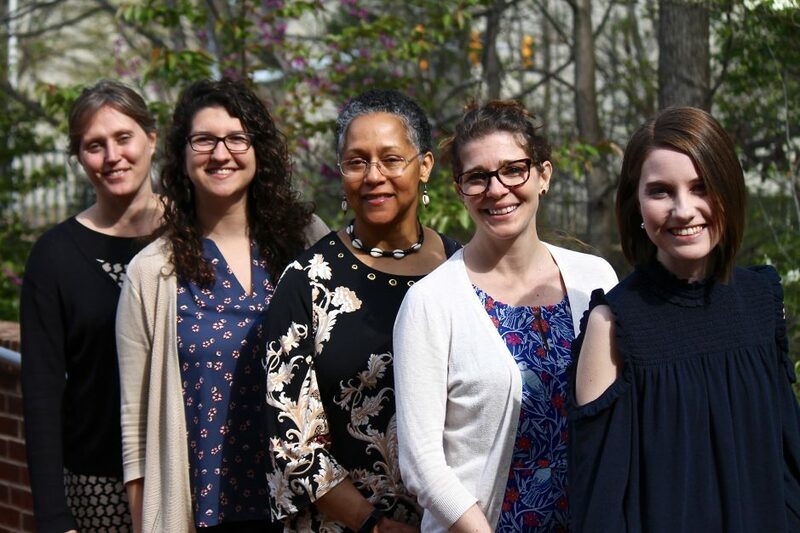 The Carolina Women’s Center will lead efforts and initiatives related to women and gender equity and will serve as a hub for all related activities, information, and collaborations. Through partnerships at UNC-Chapel Hill and in the community, we will promote and advance equitable safety, well-being, empowerment, achievement, and leadership for people of all gender identities. Community: We value relationships and making connections. We work to create a space of support, belonging, and connectedness among campus and community constituents. Partnerships: We approach our work with respect for all people and seek to maximize our impact through collaborations and via convening individuals and groups to achieve common gender equity goals. Diversity: We work with people across all gender identities and the various intersections of identity. Empowering individuals to thrive in their efforts toward personal, academic, and career success and leadership capacity building. Providing support for campus caregivers in managing their work, education and family responsibilities. We do care about all matters related to gender equity and women’s empowerment, so if you have a concern that does not fall under these headings please bring it to us.